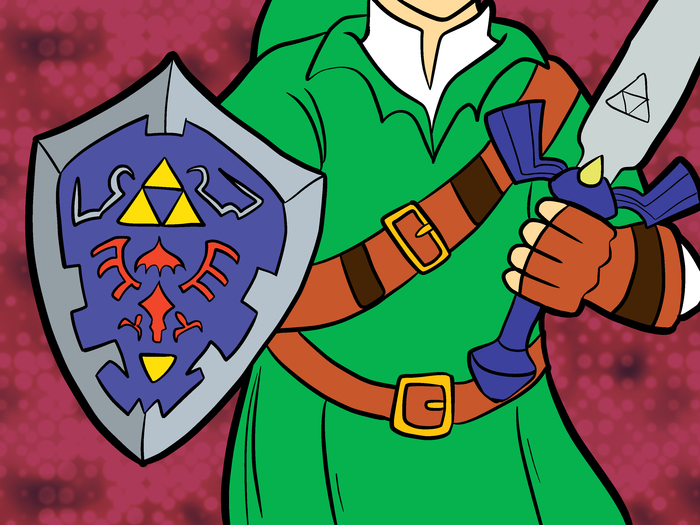 So, you want to know how to dress up as your favorite hero from "The Legend of Zelda?" Just follow these easy steps! Decide which Link you want to be. There are over 10 different Links in the series, so this may be a tough choice. 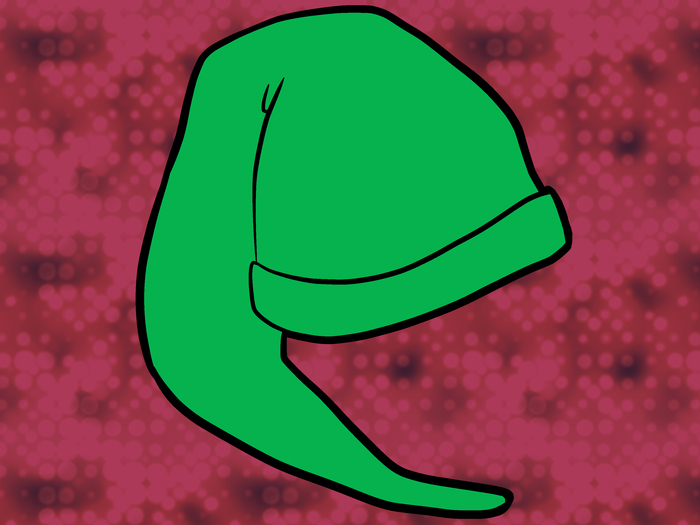 The most recognizable Link is the one from Ocarina of Time. Check the Tips section for ideas on how to cosplay as Link from a different game. Get a green nightcap. If you cannot find one, a green wizard hat may work too. If you have any spare fabric, measure your head and cut 2 long triangles. Then sew the fabrics to make a hat. If you're wearing a wig, measure them too. 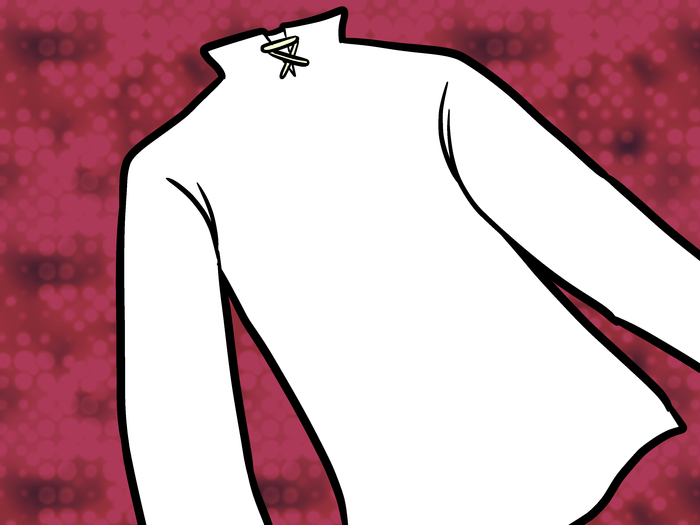 Wear a collared, long-sleeve white shirt. If you don't have one, you can use a non-collared shirt and sew a collar on. 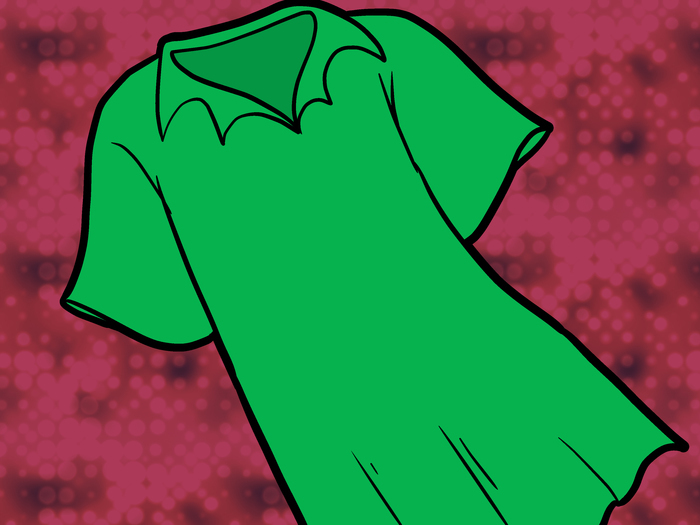 Put a green tunic over the white shirt, and must be longer than white shirt. You can get a tunic pattern from a fabric store and modify it or use an over sized t-shirt as a pattern. If you're going as the Twilight Princess Link, make a bigger tunic from fabric that looks like chainmail. 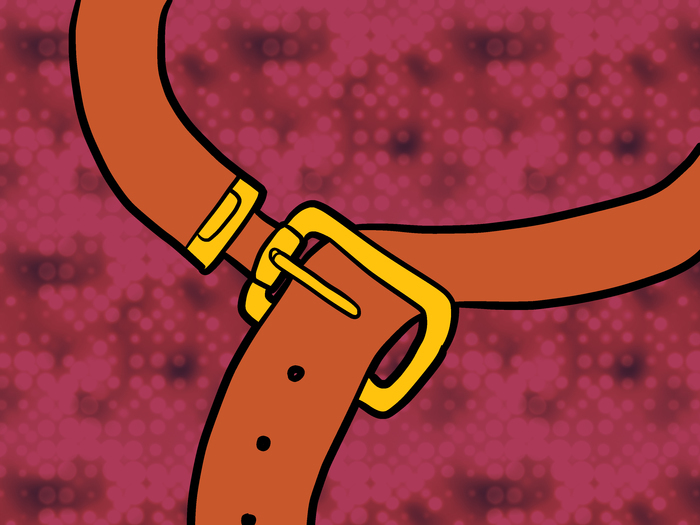 Put on a reddish-brown belt. Wear brown wraps around your wrists. Put on a pair of brown gloves. You can also sew gloves from leather too. 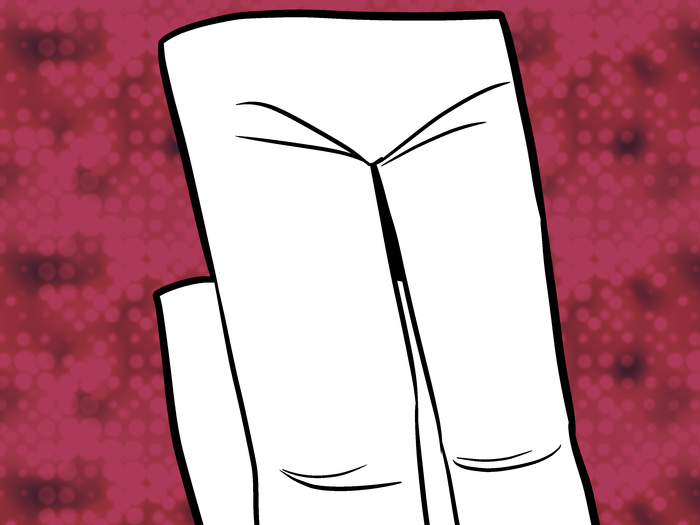 Put on white leggings. Tight spandex pants work best. If you don't have blonde hair, try wearing a wig! Also remember that Link has long hair (for a guy anyway). 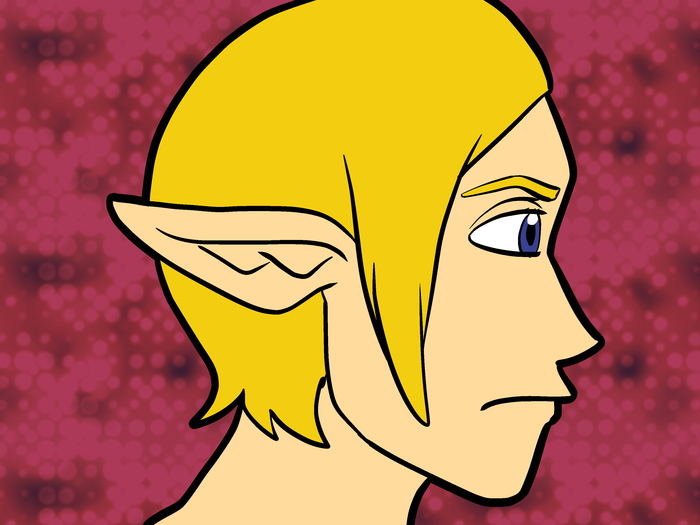 The Twilight Princess and the Skyward Sword Link has short blond hair. Put on fake elf ears (If you don't have elf ears, try using papier-mâché). Elf ears can be bought from a costume store too. 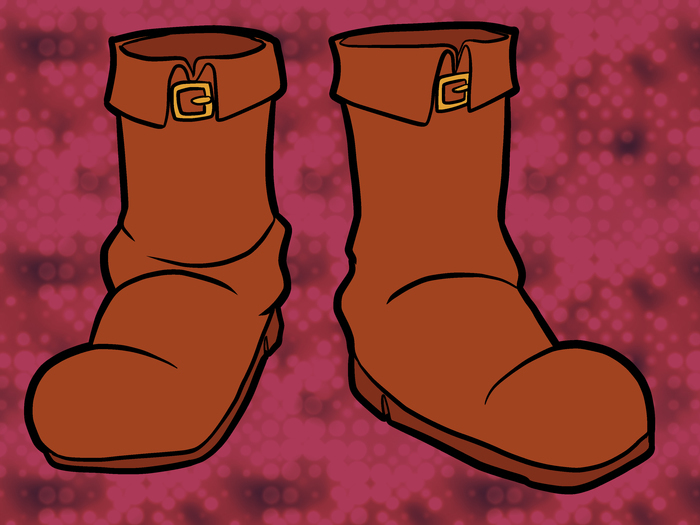 Put on brown boots. 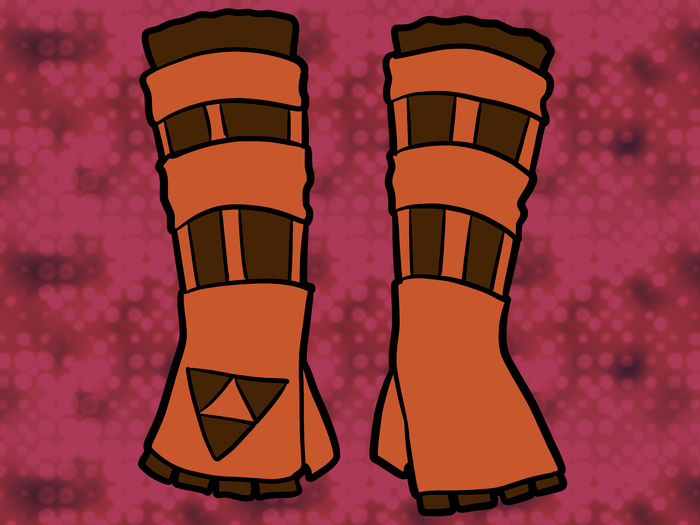 You may have to modify it, if it doesn't look like the boots that Link wears. Get the sword and shield (and other weapons if necessary). The shield can be made with wood, and the sword with wood and duct tape. You can also use Fun Foam to make the Master Sword and shield. Use the sword in the left hand (right hand in Skyward Sword or the Wii version of Twilight Princess), and the shield in the right hand (left hand in Skyward Sword or the Wii version of Twilight Princess). And you're Link! Protect Zelda from Ganondorf! Practice saying things like "Hya!" a lot. Link doesn't speak, so stay mute as you can. Instead of using wood materials, try using papier-mâché or fun foam for the weapons. If you want to be appreciated as a true fan, try to make your outfit more like the Twilight Princess, Ocarina of Time, or the old-school NES Link outfits. 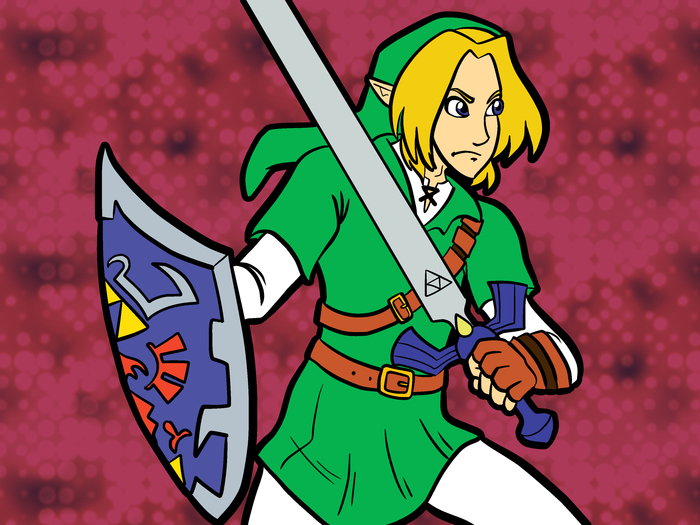 Dressing as the Link from Wind Waker will do, but it will not be as highly looked upon. If you can't buy a shield, and you want it to look like his, get an adult to help you cut one from wood, then have fun painting it. If you want to go all out with it, make sure to wear one gold (blue for Twilight Princess) hoop earring in the right ear (clip-on earring works best), and draw a Triforce on your hand with all 3 pieces drawn in red outline (left hand). 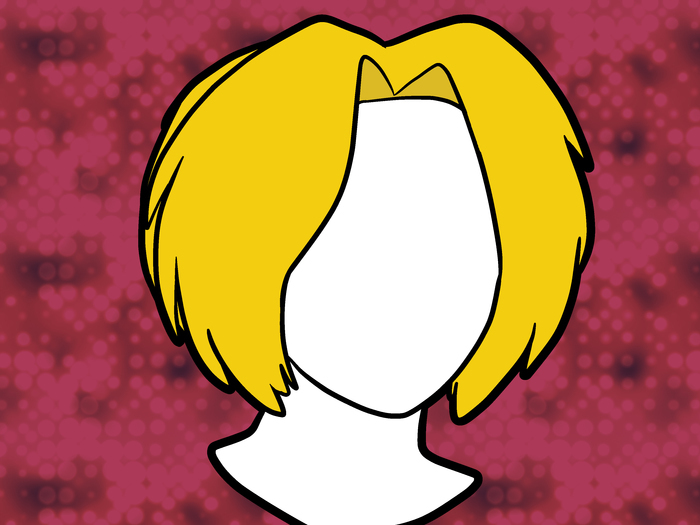 Instead of the wig, you can use washable blonde hair spray. This is a cheaper alternative, but keep in mind that hair spray can be messy and get on your clothes. Instead of a white undershirt and white leggings, you can wear brown undershirt and brown leggings or shorts underneath, remove the gloves and wraps around the wrists, and have brown hair to be Old-School Link. If you are trying to be the Ocarina of Time's Young Link, you do not need the leggings, undershirt, wraps around the wrists and gloves. The sword can also be wood, just paint it silver. 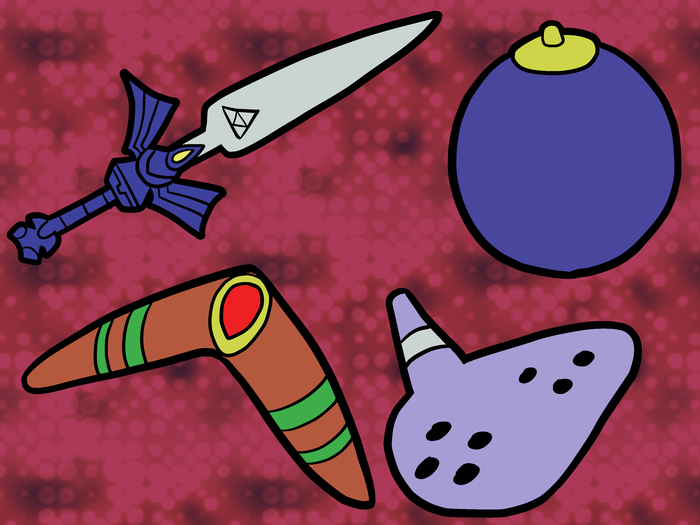 If you want to go big, you should look into a 9-hole or 12-hole blue Ocarina. If you are trying to be the Minish Cap/Wind Waker/Four Swords/Phantom Hourglass Link, the tunic should be Black/Green/Blue/Purple/Red, and the undershirt should be a lighter shade of that color. No gloves are needed for this costume. 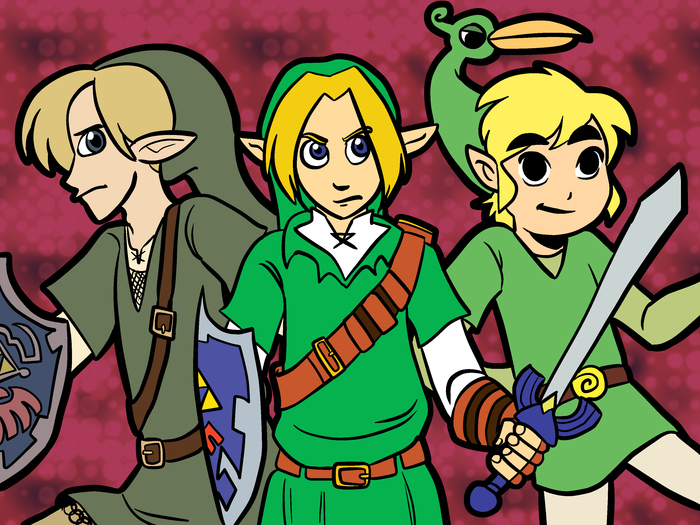 You can ask 3 other people to go as the Links from Four Swords. If you are trying to be Young Link or the Link from the Legend of Zelda, and you "do not need the pants" at least wear shorts under the tunic. (Let's be decent here, folks.) Also, if you do this, keep in mind that in many places it is cold during Halloween, and you don't want people seeing your underwear.